L. Relie LeBlanc was born February 15, 1938. He graduated from Erath High School in 1955 and attended LSU for two years. He then transferred to Northeast Louisiana State University in Monroe graduating from the School of Pharmacy in 1960. He has owned and operated the Thrifty Way Pharmacy in Erath for 40 years. He served on the Board of Directors of Thrifty Way Pharmacies of Louisiana serving both as President and Vice President. He was a member of the Louisiana Pharmaceutical Association while serving as Advertising Committee Chairman for Louisiana Wholesale Drug Company, Associated Pharmacies of LA, Advalue, and Health Center Pharmacies. He recently sold the pharmacy and then opened the Cajun Cottage Gifts and Creations in Earth with his wife, Judy, and daughter, Suzy, as co-owners. As a volunteer for the Acadian Museum of Erath, LeBlanc has been involved in many civic clubs. He is a member of: 4th of July Committee, Boy Scouts Advisory Council, Parent Teacher School Committee, Chamber of Commerce, Our Lady of Lourdes Parish Church Council, City Planning Committee, Industrial Inducement Committee, Twin Parish Port Committee, Volunteer at the Lafayette Medical Clinic, President of the Famile de LeBlanc 2000 and Liaison between the Town of Erath and Famile de LeBlanc for Congres Mondial 1999. There is, however, one very important event that the residents of Erath still consider to be a crucial turning point in the cultural extension of this close knit community. 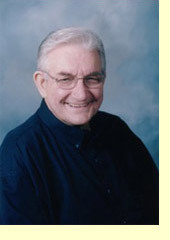 Relie LeBlanc was instrumental in inviting the Right Honorable Romeo LeBlanc, the Governor General of Canada, to attend the 1999 Congres Mondial Acadian de Louisianne and the LeBlanc Family Reunion that was held in Erath. The Governor General, who is Head of Military and Head of State, was the highest ranking Canadian governmental official to attend the 1999 Congres Mondial. Romeo LeBlanc was honored with a formal dinner in Lafayette and he then hosted a dinner by special invitation for the Famille de LeBlanc and town of Erath officials. That same night, the Governor General attended a Fais Do Do and to the surprise of all, danced to Cajun music in the streets of Erath. The next day, with Relie LeBlanc at his side, Governor General Romeo LeBlanc officially opened the LeBlanc Family Reunion that brought over 3,000 diverse families of LeBlanc descent to celebrate their common heritage, culture and language in Erath. Erath's mayor Keith Arceneaux said, "Relie's grandfather was appointed mayor in 1938 and served in that position for 14 years during a very difficult period of World War II, a feat Relie would also like to accomplish."